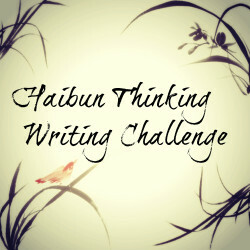 If you want to know more about the Haibun Thinking challenge, then head here.. I have decided to use the postcard as the prompt for this story. As children they would play together, they would play with their hoops; they would look for cars and carriages. At sixteen, they started exploring each other, and at twenty-one they married. They spent years together, with the turn of the century being a big time of their life. Their children came along at the turn of the century, and he became a sailor and rose through the ranks fast. Tensions began to mount in the early nineteen-teens. His son would send a post card to him every week, and every week he would send one in return no matter where he was. He would always mention a landmark of the last port they visited. This entry was posted in Haibun Challenge and tagged April, Challenges, Conflict, Haibun, Haibun Thinking, Life, Loss, Love, Poetry, War. Bookmark the permalink. Well written, a sad memory of a war where so many died. I was hollowed out by illness last week, and couldn’t find my words. Luckily, they are returning slowly. 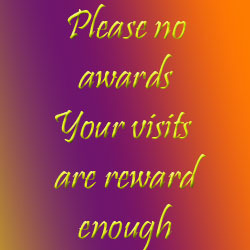 I wish for an end to all wars, but it seems human nature is against me. Unfortunately human kind will always find bigger and “better” ways to kill each other. I don’t >>> lol <<< see what I did there? Very beautiful and well written story, Alastair! That would have been a very tense time to have a son who was a sailor. I wonder how many people got news like this during that time. Too many, I’m sure. Oh so tragic…and completely in tune with this centenary of the beginning of the great war…lovely story. Good one Al, a piece of history we all recall from days at school studying history. Well done. Thank you 🙂 I have no idea if there were any errors. I had to do this and schedule tomorrows in a little over half an hour. Very good story and haiku Al. I enjoy it very much.